Here are the Christmas lolly gift bags I made from my daughters 3 best preschool friends. 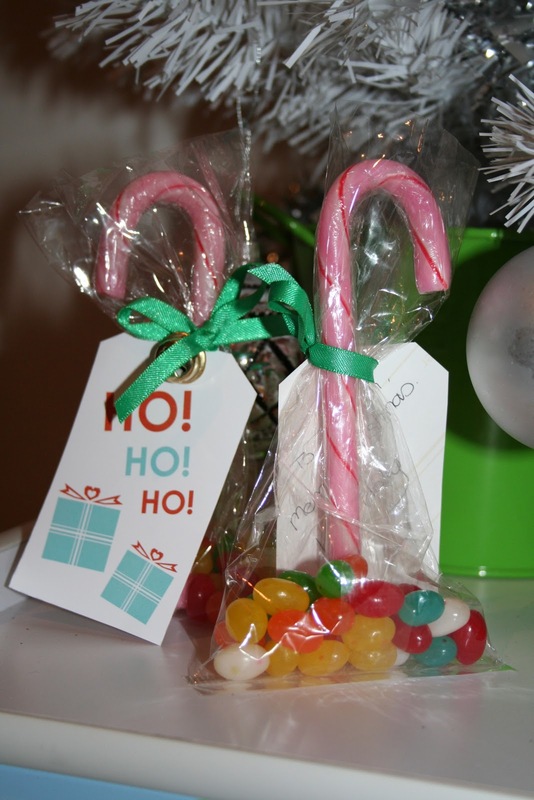 They contain a strawberry flavoured candy cane (my kids hate the peppermint, just like me) and some baby jellybeans. 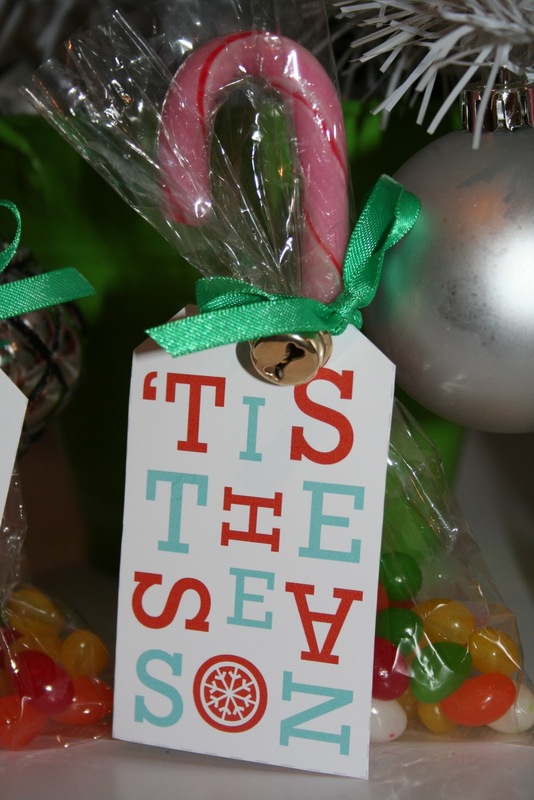 I enclosed them in cellophane lolly bags and tied them up with green ribbon and a cute little tinkly bell. 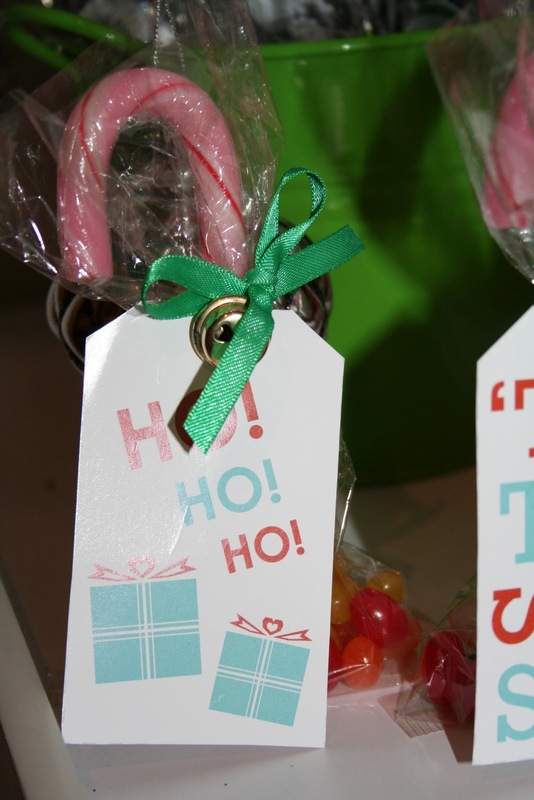 I also printed out these divine gift tags courtesy of Sass & Peril on photo paper and attached them on the ribbon. On the back I wrote out a Christmas message to each of her little friends. so cute, I love these, sweet simplicity. Hugs! P.S> Have you added your lovely blog to my new blog list page? Don;t forget to enter my Tis The Season giveaway too, time is running out. These are lovely - such a fun and bright idea I love them! I love those! SO cute! Thanks for placing my button on your blog! I love seeing it on your pretty site! PS I'm your newest follower.